This kit is intended for those who have already completed our beginners kit, or those who have some experience building on stripboard and making a finished pedal. This kit includes instructions in digital format, but they aren't as detailed as the instructions for the beginner kit. With this kit, you have the option of adding an LED (or leaving it out if you don't need it). 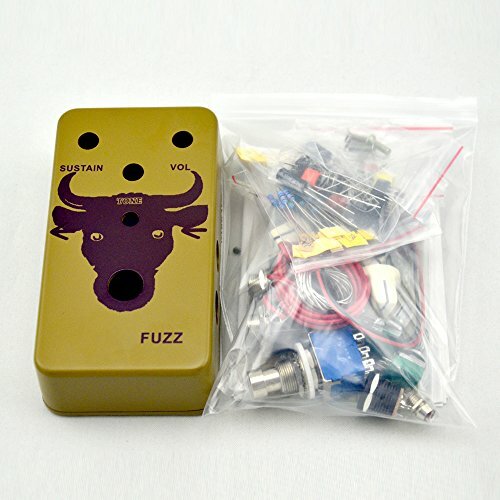 You also could supply the solder, soldering iron and whatever paint and decals you need to customize your pedal. NOTE: This is a kit of a electric guitar single effect pedals. In order to let buyers experience the fun of assembling, It need you to assemble it by yourselves.If you'e not 100% sure you could make it assembled successfully, please purchase prototypes directly.